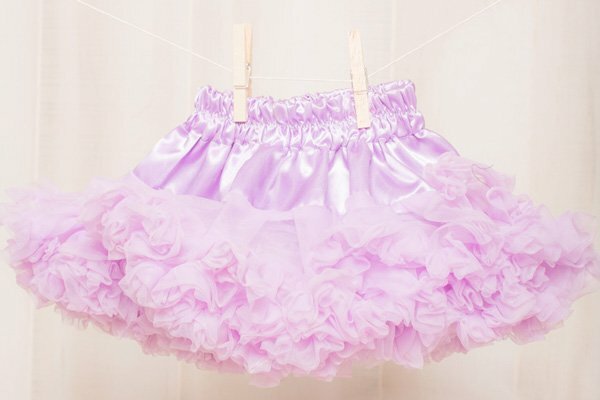 If you have a little girl at home a pettiskirt and layered tutu is a must-have article of clothing! 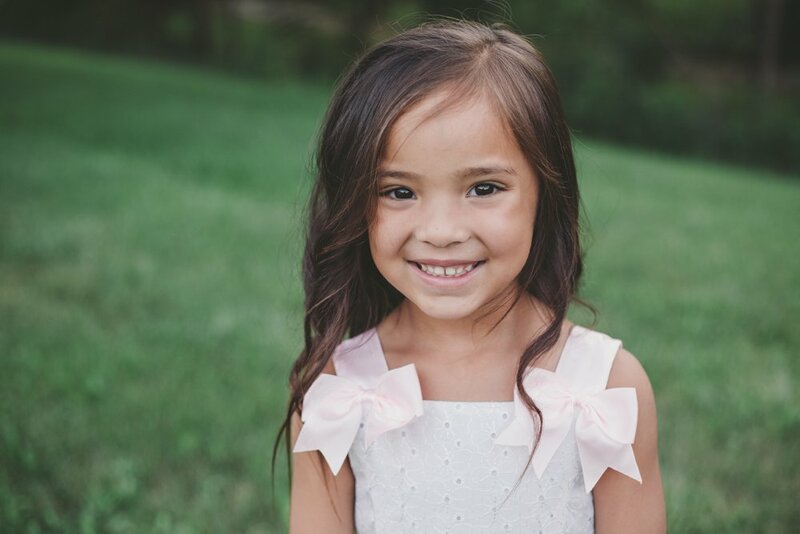 This is a post featuring a fabulous tutorial on how to sew one yourself for that little girl lin your life. 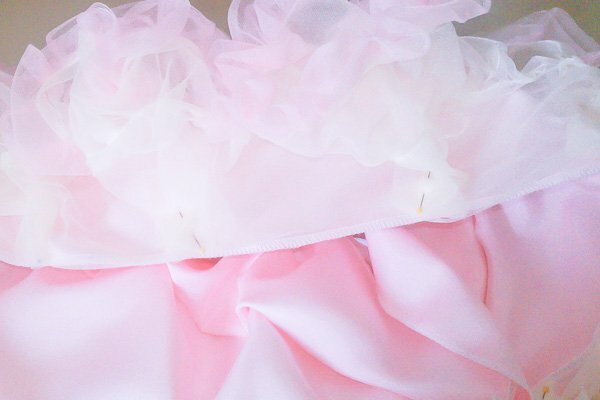 With help from your sewing machine and a lot of nylon chiffon, you’ll create a fun and cute skirt for that special girl! 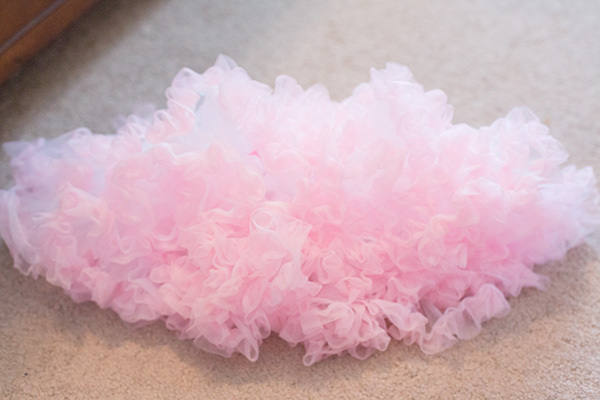 There are two types of tutus that can be DIY’ed: no sew tutus and the chiffon pettiskirt tutus. Click here for the DIY No Sew Tutu tutorial. 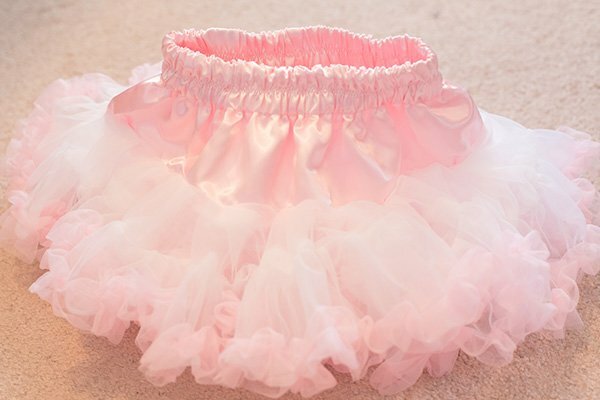 Now, I’m going to show you the chiffon pettiskirt tutus, which is my FAVORITE of the two! 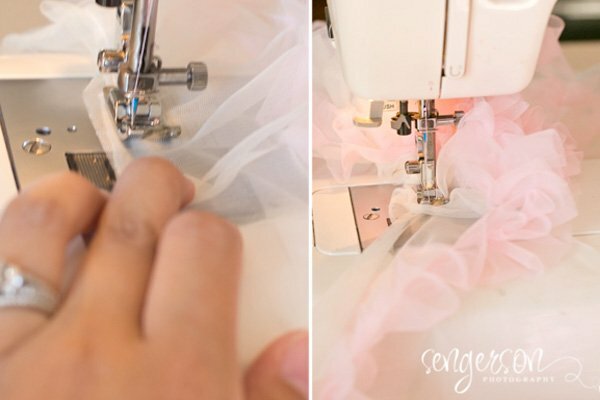 This awesome tutu (also known as pettiskirt) tutorial shows you how to make one that is ultra soft with a satin top tier with two tiers of soft nylon chiffon that features a no-roll, no-fuss elasticized waist. 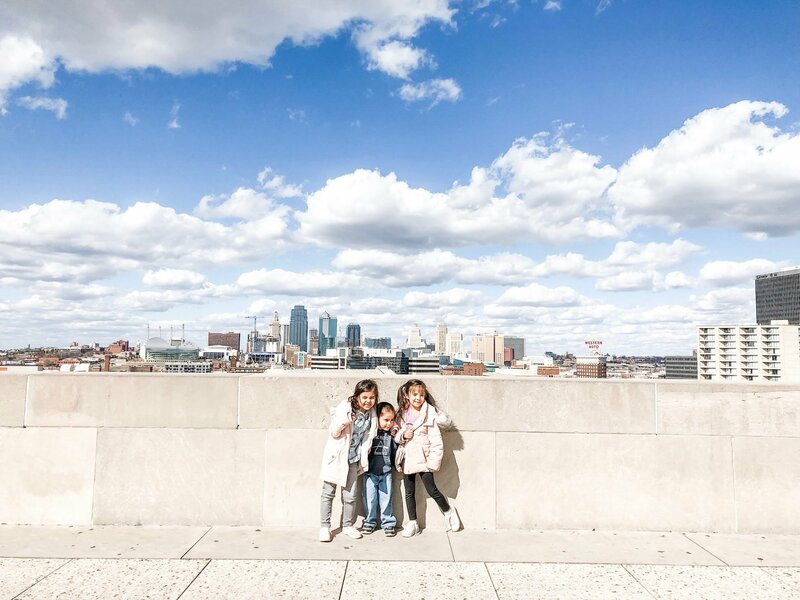 Your little girls will love this. 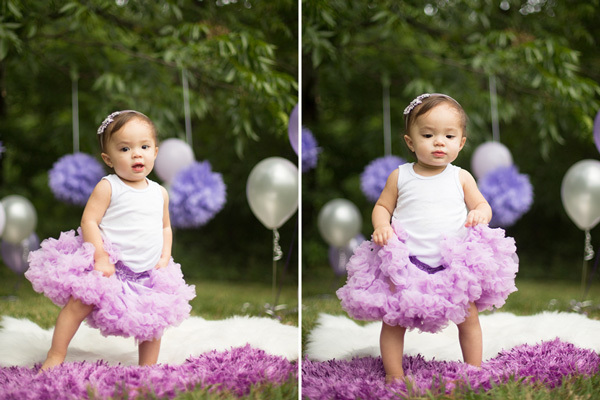 Here’s an example of the tutus I created for my own daughters in pink and lavender. Here’s how fluffy it looks! Here are the skirts in action. I made the satin tier a tad too big in the pink one below, so adjust accordingly. 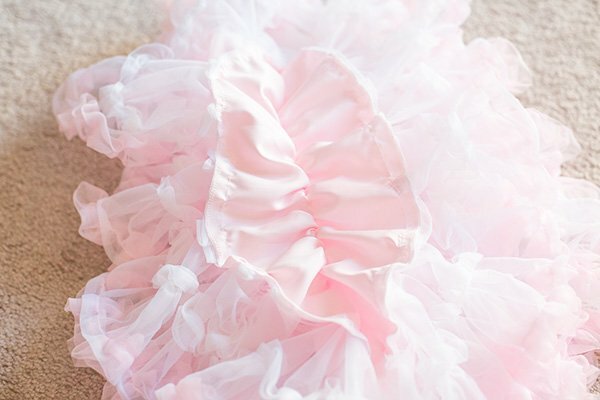 Fair warning: These chiffon petti skirt tutus are harder than the DIY No Sew Tutus. It takes a little finesse, but if I can do it, YOU can do it too. I’m not a seamstress by any means. You are making a TWO LAYER skirt. Each LAYER has FOUR TIERS. 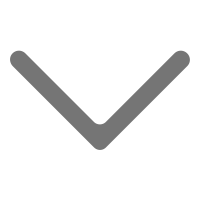 Its important you understand the difference between the layer and the tiers so you can understand what materials you need. This means that the skirt has two layers (almost like two skirts sewed together). 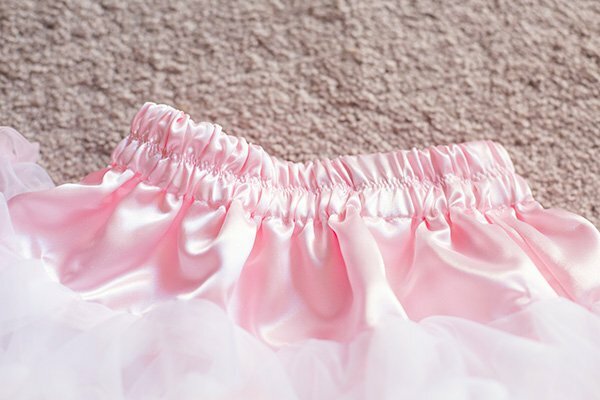 The tiers for each layer represent the chiffon and satin strips (in the above picture – 1. pink satin 2. white chiffon 3. white chiffon 4. narrow pink chiffon). 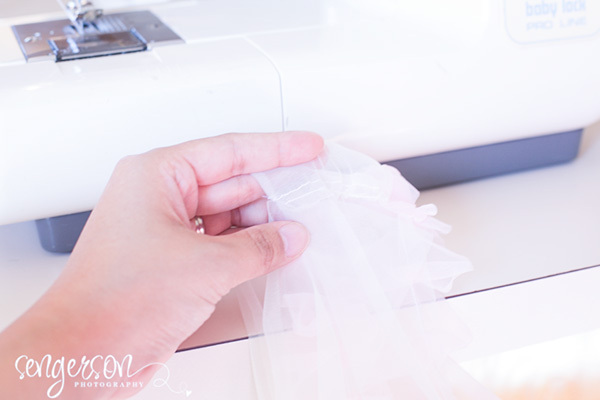 In this tutorial, you will NOT need a ruffle foot for your sewing machine. We will be gathering by hand with the machine (easier than it sounds). 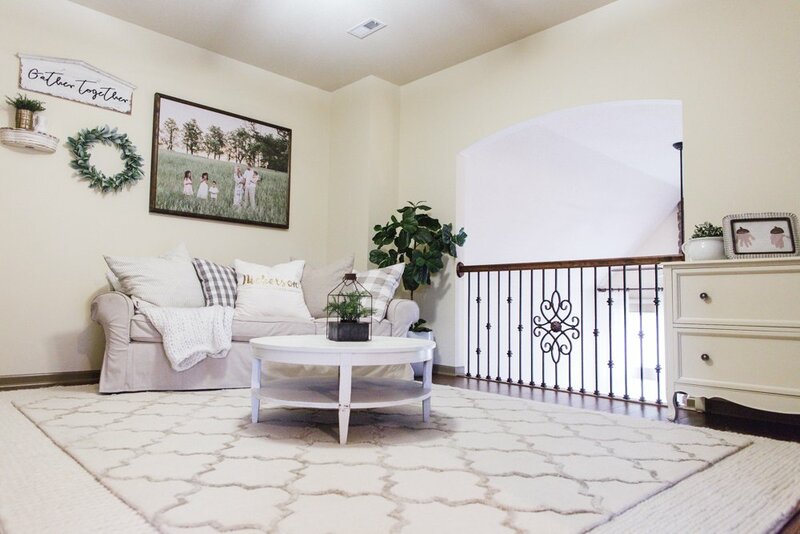 Written Tutorial with pictures from Make It Love It – Best tutorial with pictures out there. This is the one I used. Written Tutorial from Sew Mama Sew (Forum Message) – I used this to clear things up I was confused on with the previous link. 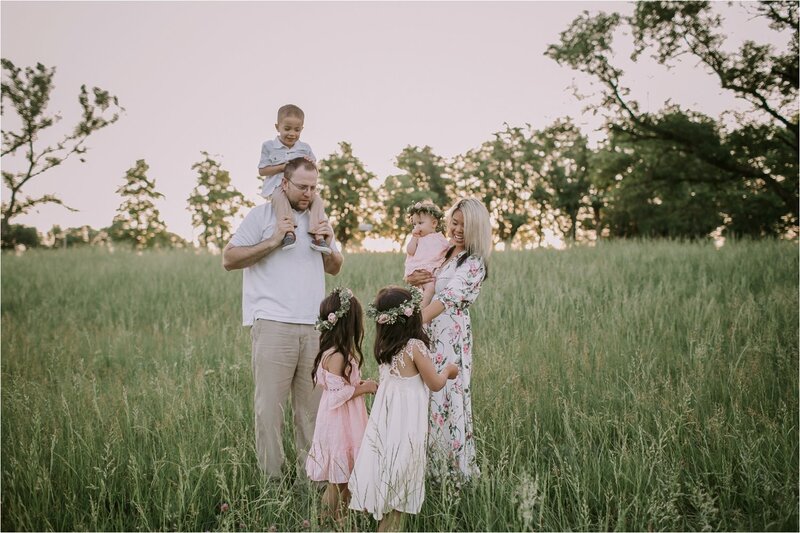 Creative Chaos – I used this link to figure out size. Video Tutorial from Martha Stewart – This is the worst video tutorial I have ever seen. Who can follow this? 2 Spools of matching thread for nylon chiffon. If you are doing contrasting colors, you may need another pair of thread colors to match. 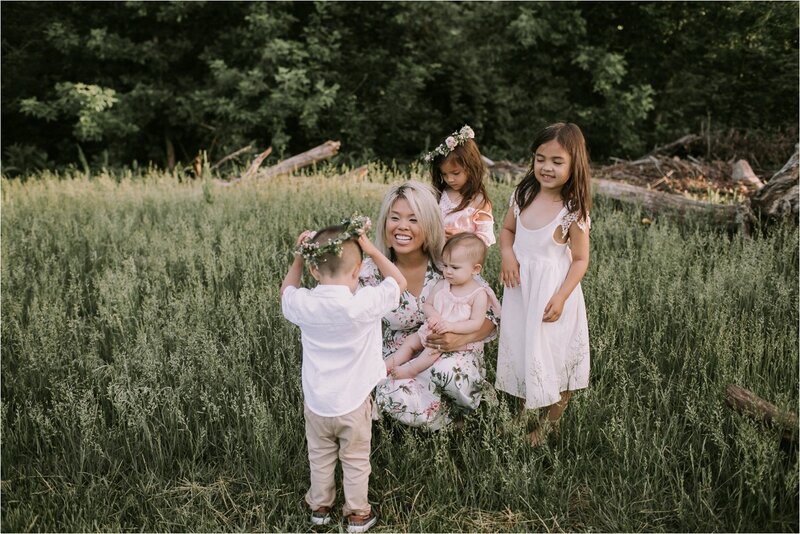 The pre-cut rolls of nylon chiffon can be purchased on Amazon or AFC Express, they have an awesome selection of colors and even patterns for chiffon (think animal print) and also the best prices. They also ship for free if your order is over $100 (if you don’t plan on buying this much, have a tutu party with your girlfriends to order them together). 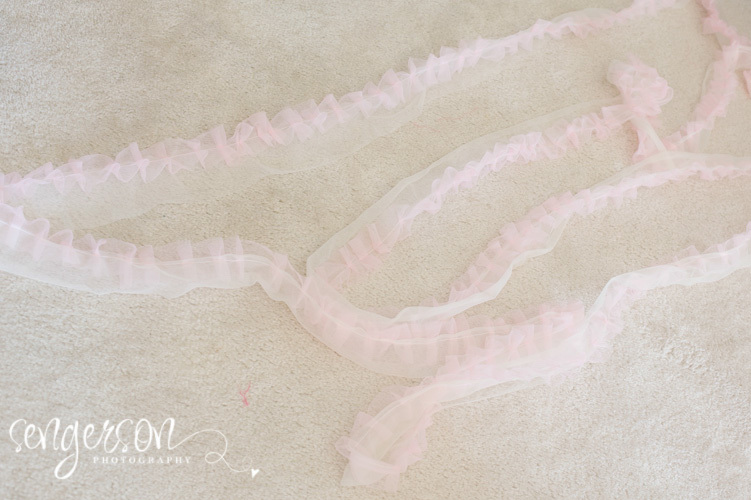 First and foremost, figure out how you are going to not make a crazy mess with your chiffon rolls unraveling. 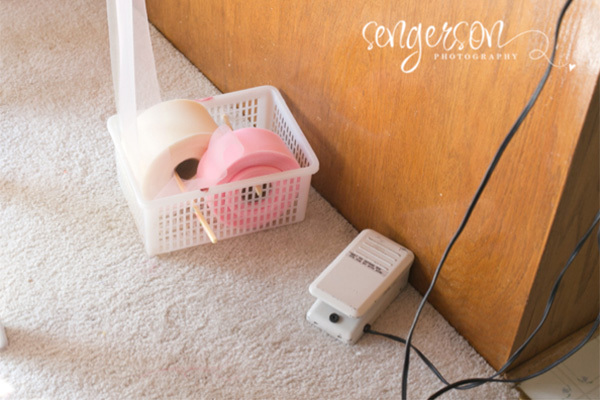 Tip: Find a basket with holes and put the roll on a pencil, then you have yourself a chiffon roll dispenser. Once you got that figured out, place the body chiffon layer under the sewing foot at the 1/4″ mark. Then, on top of that layer, place the ruffle chiffon layer with the sewing foot in the MIDDLE. 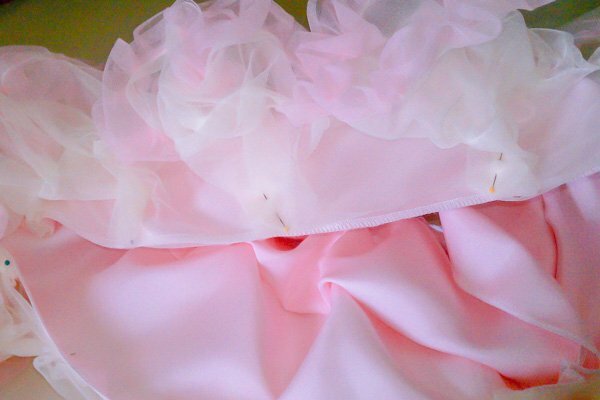 You are going to then gather the ruffle chiffon ruffle under the foot a little and sew straight down the middle (sewing only 1/4″ of the body). Keep on sewing and back-stich every few feet. Stop when you have 10 yards of this and cut it off. Do this again – remember we are making TWO LAYERS. At the end of this, you should have a 2 piles of 10 yards long of little ruffles on a body tier. For each pile, you are going to untwist the fabric and align it so it makes a large circle. Next, you will be sewing the 2 short ends together. So you should now have two circle tiers. Next, put the new chiffon body tier on the sewing machine (typically, its the same color roll). Take one of the large circles you created, and use the section where you sewed the short ends together as your starting point. Now you are going to gather this already ruffled body to the new chiffon body tier. So, manually again gather with your hands, and take it all the way around the circle. Once you get to the end of the circle, go maybe half an inch over. Cut the chiffon body tier roll off. Sew the short end together where you just cut it. You should now have one layer with a ruffle tier, a first body tier, and a second body tier. Do it again for the second layer. Let’s forget all about the chiffon for now. We need to cut the satin waist tier fabric. Cut the satin – you should have one long rectangular piece of satin once you are done. Next, you are going to be creating a “casing” for the elastic with this fabric. You are going to sew the short ends of the satin together with the RIGHT SIDES together, but will leave an inch opening so you can put in the elastic. I would recommend pinning this before sewing – measure a couple of inches, place a pin and measure an inch, place another pin, then sew. I would also sew two seams for reinforcement. Now, fold the fabric down on itself in half – making a waistband. Iron the crease out. You should now have a tube at the top and raw edges (where we will connect the two circles of chiffon later). Next, you are actually going to make the casing – so from the top folded section, measure 2 1/8″ from the top – and make a seam all the way around. We’ll add the elastic in a later step. Pin the chiffon tier to the bottom front edge of the satin waistband – with right sides together. You are also pinning your manual gathering so that you use up all of the chiffon tiers to the satin tier. Only pin to the OUTER layer of the waistband. Make sure the INNER layer of the waistband is out of the way. If you flip the skirt around, notice that the seams are now hidden! Yey! Now sew what you just pinned in place using a 1/4″ inch seam allowance. Now, turn the skirt and waist band inside out so that the other layer of the waist band is outside (the inner is now outside). Hope that wasn’t too confusing. Now pin the wrong side of the chiffon layer to the right side of the satin layer. Remember to gather as you pin. Sew in place like you did in Step 6. Pick up your elastic waist band. Attach a safety pin to one end and slide the ribbon through the casing of the satin piece. Once you get the ends together, sew them together. Now hand sew the casing together where the opening was. Now, in order to not have the elastic roll, you will sew 1 inch down from the top of the casing a zig zag stitch in the middle of the elastic. Make sure you stretch the satin and elastic as you sew the zig zag. That’s it. You should have a pretty pettiskirt! Pat yourself on the back. Check out how my girls used their skirts in their cake smashes here and here. Not meant to sew? Have you decided its too much work to accomplish this on your own? Check out Etsy for some amazing shops that will do it for you. Better yet, Amazon for a quick fix! 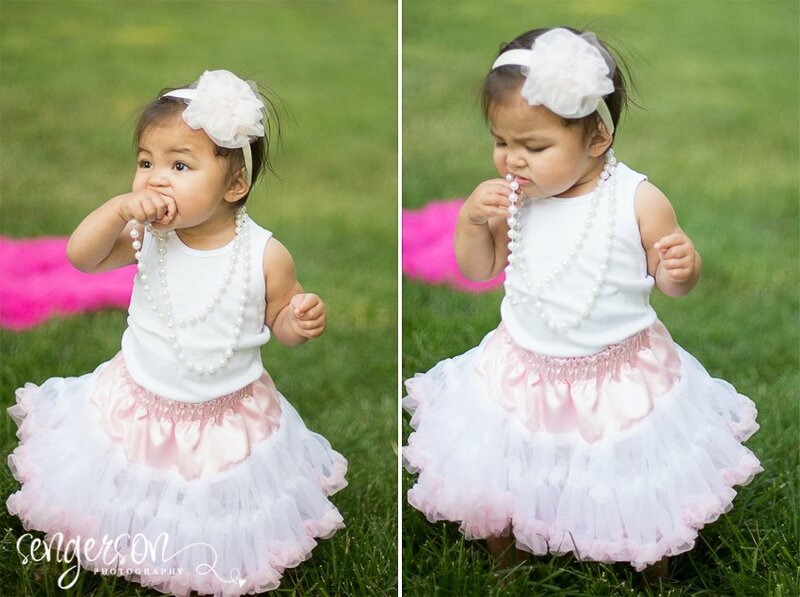 For birthday cake smash photo session ideas with this pettiskirt, check out my post here. 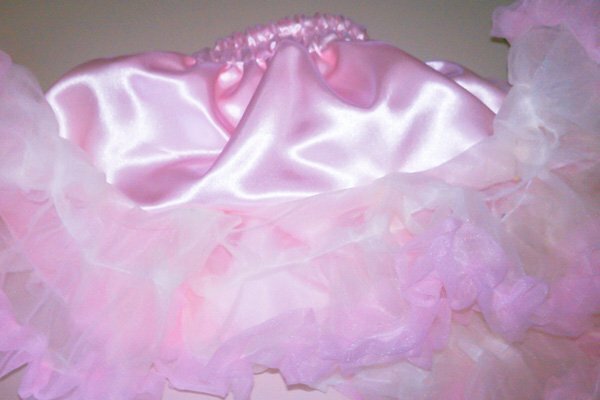 Here are some of my favorite chiffon pettiskirt tutus that you can buy premade! 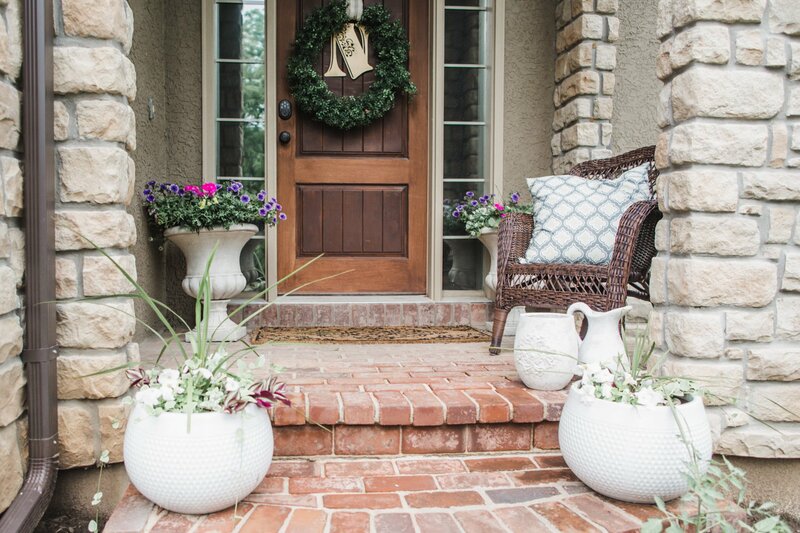 For more inspiration on craft ideas, subscribe, follow me on Bloglovin, Facebook, Twitter, Instagram & pin with me on Pinterest! Is this mean add it all up for the chiffon material you use is about 120 yards? As i check the link you suggest on your website http://www.afc-express.com/nylon-chiffon.html , it said $1.84. Would you able to give me total how much chiffon you use and how much it cost on the nylon chiffon material for the skirt you make please? Thank you so much for your help. No problem. If you buy the chiffon from AFC Express, I think it would be about $30 with shipping. I would say for the ruffle fluff tier, you need one roll. For the body chiffon tier, you need two rolls. I used whatever was standard in my sewing machine 🙂 Nothing fancy. very cute and adorable. I am sure The Fabric Exchange has so many choices of fabric for this kind of project. This is so detailed. Thank you. Also love the top tip of a basket and pencil. Do you have a video tutorial of this? 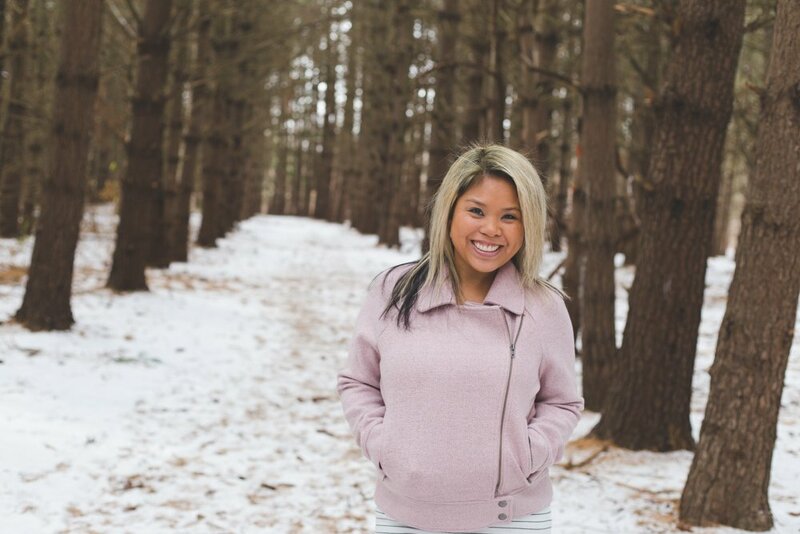 Hi Kayla! This can certainly be modified for adults. I would order longer width chiffon though. I don’t have a video tutorial unfortunately.